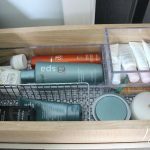 The celebration of Kitchen and Bath Month continues, and with it comes a celebration of my favorite kitchen organization products! Earlier this month, we focused on products that bring about organizational bliss in the bathroom. Today, it’s all about the kitchen…more specifically–the pantry. 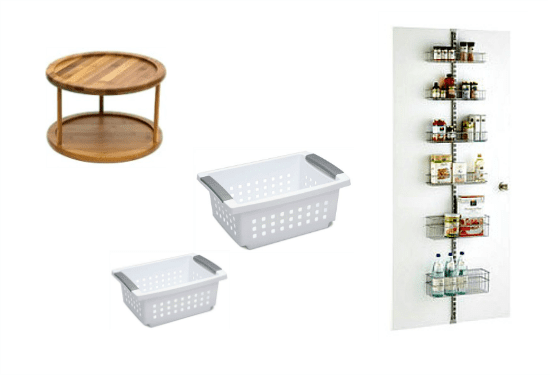 There isn’t a single kitchen organizing project I’ve tackled in which Sterilite stacking baskets haven’t been used to “containerize” something. I’ve used them in clients’ kitchen cabinets and drawers to store vitamins and medications, paper products, and plastic ware. More often than not though, I’ve used them in pantries to store various food categories, like you see in my own pantry above. 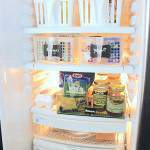 They are the perfect kitchen organization product for reach-in pantries with shelves. 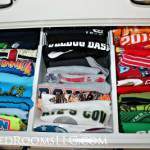 When you use stacking bins in this way, you get a “gold star” for maximizing vertical space! The best part is that you can customize your storage solution by selecting a combination of small stacking baskets and medium stacking baskets. 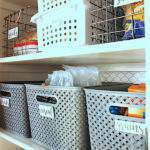 Since the ones I use are not clear, labels are a must when using these particular stacking baskets. 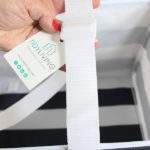 When the gray stacking mechanism is in the “stacking” position, it reveals the perfect place for affixing a label when the basket is stored on a low shelf. 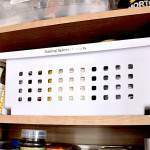 Got a "must-have" tool that you use to keep things organized in your kitchen? Share it with the rest of us! 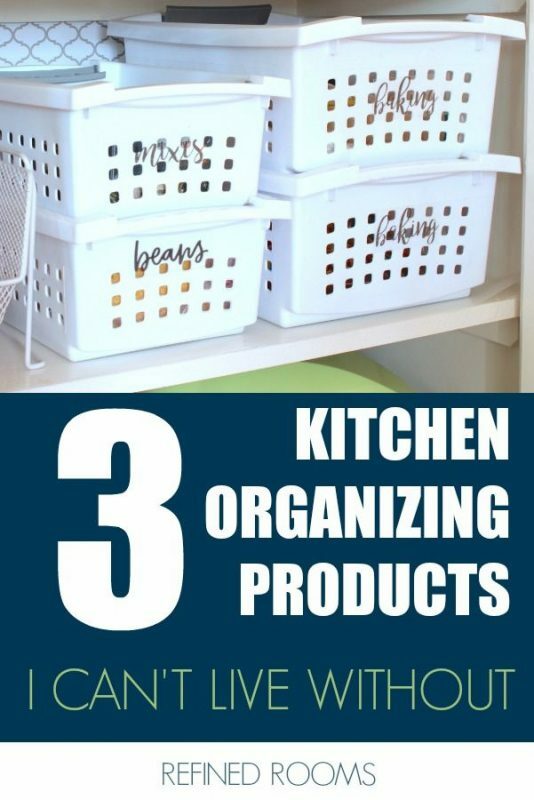 Oh, and be sure to check out my favorite bathroom organization products as well. 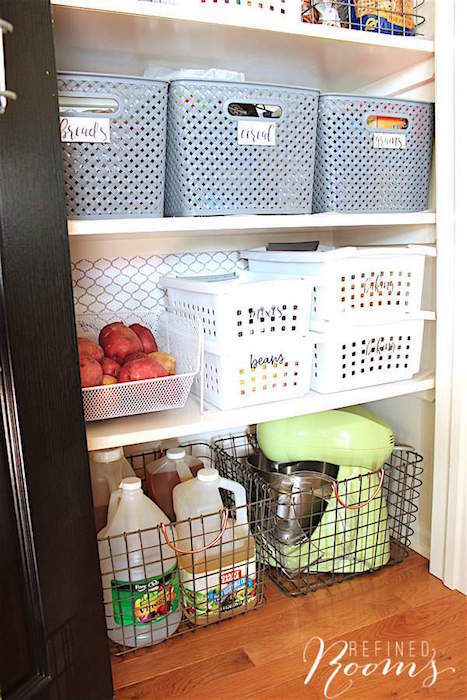 Those stacking bins would come in real handy, and I really like the door organizer , that pretty neat. Linda, I’m glad you enjoyed the post. Thanks so much for stopping by!